At our Alfa Romeo and Maserati dealership near Ponce Inlet, FL, you can find the perfect new luxury car or SUV for your lifestyle. Our new vehicle inventory has plenty of your favorite models in stock, such as the new Alfa Romeo Giulia sedan lineup or stylish Alfa Romeo Stelvio SUV. If you love convertibles, we have great options like the Alfa Romeo 4C Spider and new Maserati GranTurismo convertible. 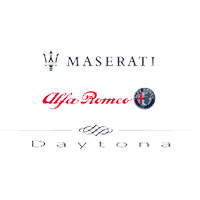 Whichever luxury car satisfies your indulgences, we have it here at Maserati Alfa Romeo of Daytona. Shop now and find the perfect model for your tastes and lifestyle — you can even take advantage of our new luxury vehicle specials. We’re always within your reach at Maserati Alfa Romeo of Daytona, so whether you’re visiting us from John’s County or from anywhere across the Palm Coast, we’ll be here for you when you arrive.